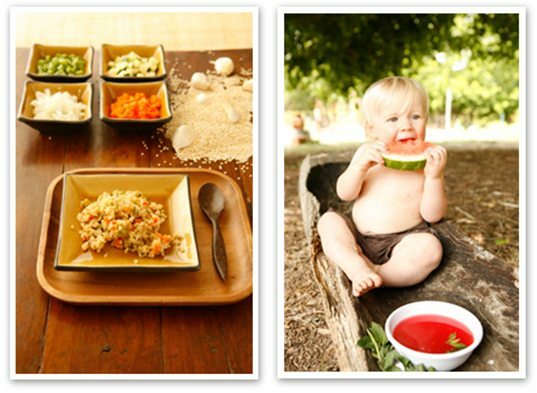 Organically Raised – Conscious Cooking for Babies and Toddlers by Anni Daulter, with Shante Lanay, is a new cookbook focused on healthy organic food from babyhood and beyond. Author Anni notes that Organically Raised is, “A hip, holistic guide that allows parents to create delicious, healthy, and organic meals for children ages 6 months to 3 years old.” I’d go a little further though, because this cookbook is about much more than simply feeding your little one. Organically Raised offers recipes the entire family will enjoy and invites you to live a more organic life overall. Stunning photography by Gina Sabatella. If you’ve never cooked organic meals before, you’ll be inspired to try simply because the images in Organically Raised are so amazing. This book is so much more than just recipes! Anni covers benefits of organic food, breastfeeding information, organic food shopping tips and common questions about feeding little ones. A dedicated section about seasonal foods, a great how-to regarding herbs in baby food, plus an informative section on healthy add-ins for all recipes. Tips about how to start healthy solids, how to expand your child’s taste buds and how to offer healthy alternatives to processed sweets. Advice about how to create a conscious kitchen, including a pantry list, food storage ideas and a list of kitchen supplies and tools you’ll need in order to prepare yummy organic meals. Special issues are covered such as vegan diets, gluten-free diets and food allergy considerations. The best thing about this cookbook is that it includes recipes for the entire family, not simply plain baby purees. Author Anni launched an excellent Organically Raised website as an accompaniment to the book and it’s a fabulous organic family resource with tons of tips, extras and recipe examples. Read on to see what could be improved. Not printed on recycled paper. In my opinion, any book claiming to be eco-friendly and organic should be printed on recycled content. A recommendation for DHA-enriched formula, if you can’t breastfeed (or choose not to). DHA isn’t organic at all, in fact many are trying to get it banned from the national list of allowed of USDA Organic ingredients. Also many studies show it’s not healthy and may not even be safe. Read our guide to green formula for more information. Many recipes include agave nectar, but there’s little explanation about what it is, how to choose a good brand, or how to substitute real sugar if you’re not on board with agave. Read on if you’d like to try some Organically Raised recipes before you buy the book. Overall, in spite of a few cons, Organically Raised is an excellent organic cookbook for green parents and kids, especially if you’re new to organic cooking and need help learning the basics. The visuals are lovely, the recipes are easy to follow and the entire book conveys a message of peaceful, healthy meals. Of course I didn’t make everything in this book, but the recipes I’ve gotten to so far are yummy – I suggest trying Austin’s Italian sun-dried tomato wheel pasta with fresh basil, capers, and parmesan cheese, Kael’s Mexican rice tortilla soup or Mackenzie’s superstar sweet potato cakes. You can find more Organically Raised recipes at the Organically Raised website. 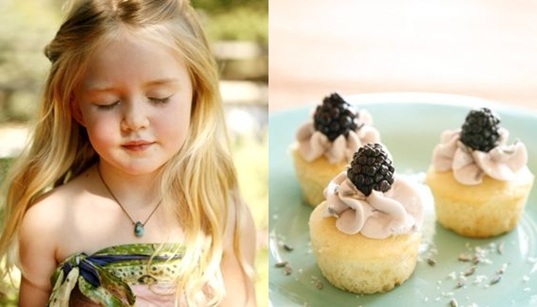 Organically Raised - Conscious Cooking for Babies and Toddlers by Anni Daulter, with Shante Lanay, is a new cookbook focused on healthy organic food from babyhood and beyond. Author Anni notes that Organically Raised is, �A hip, holistic guide that allows parents to create delicious, healthy, and organic meals for children ages 6 months to 3 years old.� I'd go a little further though, because this cookbook is about much more than simply feeding your little one. Organically Raised offers recipes the entire family will enjoy and invites you to live a more organic life overall.